The issue could be anything — taxes, health insurance, education funding. But as the argument goes, the rightness of the position we were espousing placed it in the rarefied air where politics plays no role and those who would make it about politics . . . were simply politicizing the issue. It is of course a weasel phrase. One intended to put political opponents on the defensive because after all, practically every issue in a political system is in some way about politics. But here’s one issue that should be above politics: Roy Moore’s bid in Alabama for the US Senate. His election will be a black mark that will haunt this nation for years. Republicans will scoff at the notion that a race that is so razor thin can be divorced from politics. But if morality or ethics play any role in our politics; if our fealty to the Constitution and the rule of law is genuine; and if we are true to our founding creed that all men (and women) are created equal, then someone like Moore has no business being a public official. The US Senate candidate in Alabama has been accused of making sexual advances on teenagers when he was in his 30s. These are positions that are more bigoted and extreme than those held by President Trump and stand firmly outside our modern political tradition. His views, quite simply, reflect the worst angels of our nature. What makes Moore such a particularly odious character is his breathtaking cynicism. Over and over Moore rails against judges who refuse to abide by the Constitution even though he’s been expelled and suspended from the Alabama Supreme Court for, in part, refusing to abide by the Constitution. 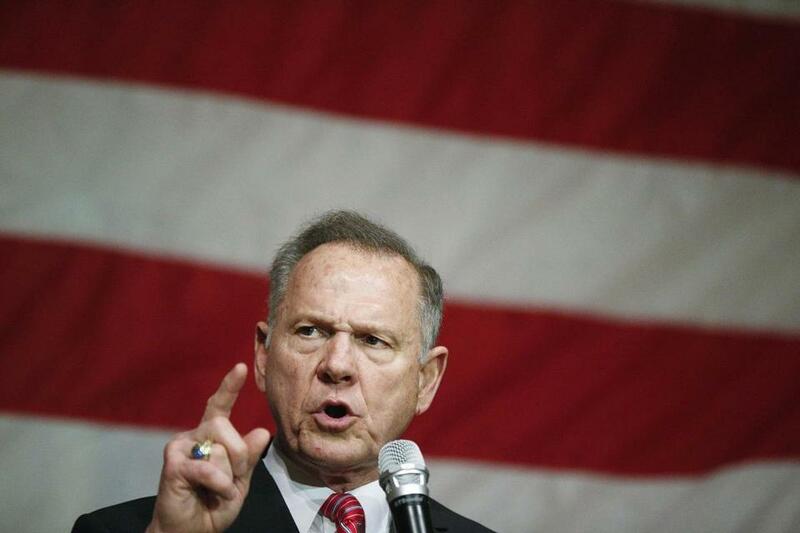 Moore trumpets his Christian faith and rails against religious intolerance all the while adopting positions that would treat members of other faiths like second-class citizens. 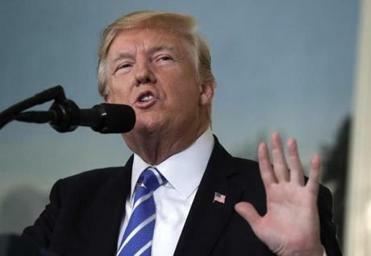 His politics are that of divisiveness, cruelty, and moral depravity that stand in stark opposition to the religious gospels he supposedly embraces. And then there are the allegations of Moore’s predilection for dating teenage girls, one as young as 14. What kind of message would Moore’s presence in the Senate say to women or young girls in America? It’s bad enough that we have a president who has been accused by more than a dozen women of sexual assault, but a predator who preyed on teenage girls? How much further can America sink? There are those, particularly in Alabama, who will argue that Moore’s past behavior is bad, but even worse is the support for abortion rights by his rival, Doug Jones. But a vote for Jones will not lead, particularly in the near-term, to any change in federal abortion policy. Republicans still control the Senate and even if Democrats gain the majority there in 2018, a pro-life president is unlikely to sign any legislation that would make abortion more readily available. What we can say with far greater certainty is that a vote for Moore would put a bigot, homophobe and now an alleged sexual predator of teenage girls in the Senate. To be sure, there’s certainly a precedent for viewing a partisan election as being above politics. In 1990 when David Duke ran for governor of Louisiana, Republicans across the board came out in support of his opponent, the notably corrupt Edwin Edwards. Bumper stickers across the state urged voters to “Vote for the Crook. It’s Important.” Endorsing a neo-Nazi was for many Republicans a bridge too far. In fairness, there are many prominent Republicans who’ve taken the same position today, though notably not the Alabama Republican Party, not the Republican National Committee and not the president of United States. I don’t expect Alabama voters to take their cue from me, but nonetheless I hope they will take a moment to consider the message it would send to Muslims, Jews, gays, African Americans, and women — all children of God as Christian faith teaches — to have someone like Roy Moore in the US Senate. This isn’t just about Alabama. It’s about America. In our current political moment of intense and tribalistic political polarization, it’s awfully hard to put politics to the side. This is the time to do it.